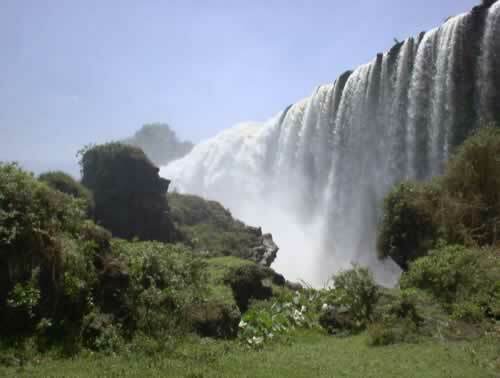 The North of Ethiopia is one of the most remarkable areas in the country. 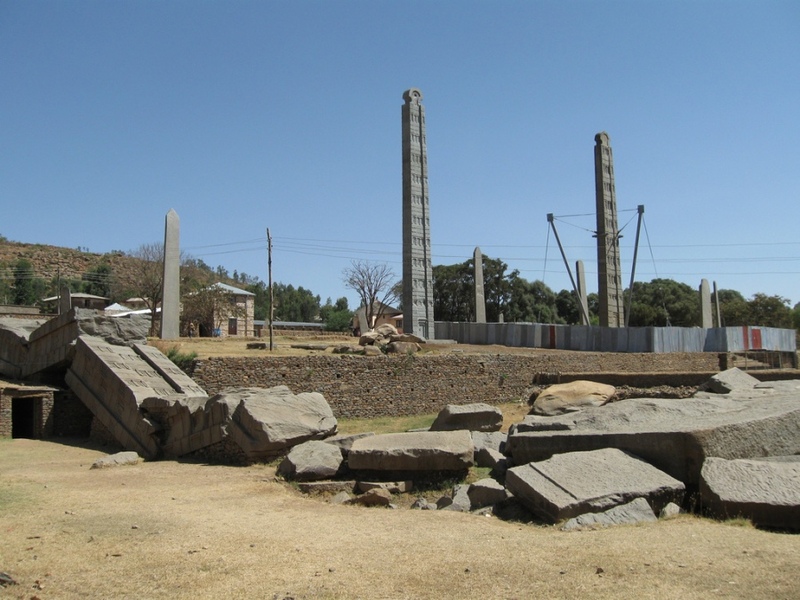 Its principal cities, Axum, Lalibela, Bahir Dar and Gondar, are deeply embedded in history and to be considered cultural treasure beds not just for Ethiopia, but for the whole world. 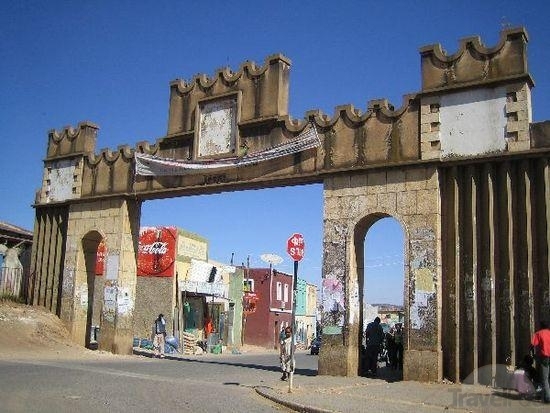 Axum, the Axumite kingdom’s capital city, offers testimony to that area’s exceptionally high level of civilization. Its stone monoliths and mysterious monuments date back thousands of years. The golden crowns and crosses located in Saint Mary of Sion are still used during the Coptic church’s major religious ceremonies and according to tradition one of the church’s chapels still houses the Ark of the Covenant brought back from Jerusalem by the Queen of Sheba. 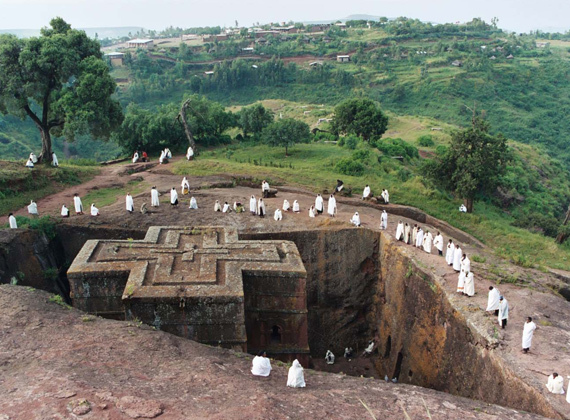 Some 800 years ago King Lalibela built one of Ethiopia’s most secret marvels; a city named after the King himself and composed of eleven towering churches hewn out of the solid red volcanic tuff on which they stand. These massive feats architectural accomplishment so bewildered visitors that they have come to say that such constructions could only be possible through the intervention of superhuman hands. Gondar, another jewel of Ethiopia offers tourists the sight of impressive medieval castles and enticing and beautifully decorated churches. A delightful congregation of culturally important churches and monasteries are nestled on Lake Tana’s islands. The rock-hewn churches of Tigray are slightly smaller but no less architecturally and artistically remarkable than the ones in Lalibela. Some are more difficult to access than others, secreted away in the cliff faces, but all well reward visitors who invest the energy to visit them. The wonderful scenery of the Simien Mountains, paradise for trekkers, the Coptic religious culture of the people, the mysterious atmosphere of the ancient monasteries will lead the tourist through a very special experience.